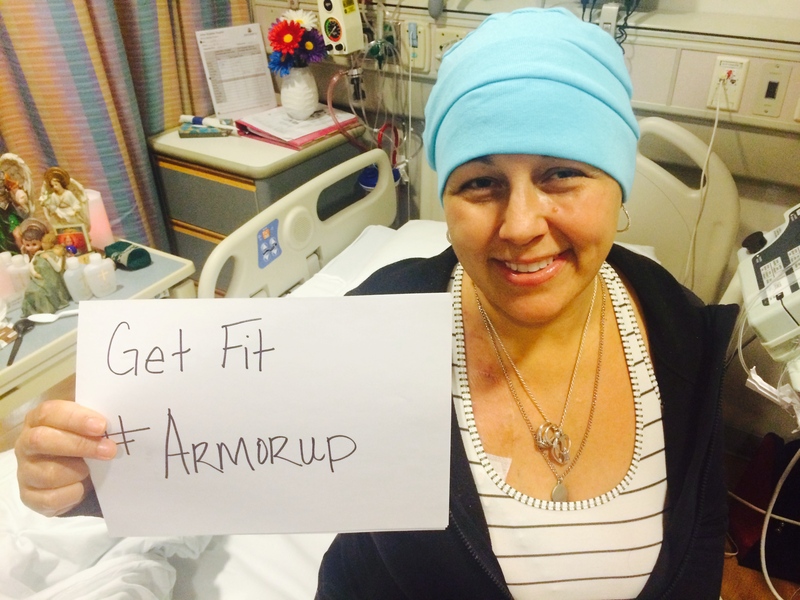 GIFT IDEAS for Cancer Patients During and After the Fight | ArmorUp for LIFE – BE PREPARED FOR LIFE! | BECOME YOUR OWN HERO TODAY! YOUR LOVED ONE HAS CANCER.. HOW CAN YOU HELP? Its the holidays and while you are thinking about gifts, think about how you can help a some you love fighting cancer or recovering from it! After so many calls of friends in a panic saying “My friend has cancer! What do I send? I decided to put together a complete list of great gift ideas SO just scroll down to the section that applies to the one your love. This can be useful well after the holidays. Your support! This may sound like an obvious but trust me on this one. I along with other cancer patients on my hall had many friends and/or a family member just disappear when we needed them most. I know it is tough to know the right words to say… but just saying you care and sending help. A text or a call with no pressure to call back but simply saying you haven’t forgotten about them. Ask them about their blood counts, the tests but NOT their prognosis. Share what is going on in your life so they don’t feel left out. Sympathize but don’t share too much- Don’t tell them about all your friends they lost to the very same cancer, you will send their mind racing. Don’t ask what they need… just DO IT— Most of us are too ashamed to ask for help. And on that note — below is a great list to get started based on what I needed during my ONE YEAR battle with Leukemia. Help for their family- one of the best things anyone could have done was help my family and take care of my then 2 year old son. I spent more energy crying and stressing about how he was doing. Keep my family calm and let me know they are ok so I can focus on WINNING. I did not need to be spending hours on care.com looking for sitters for my son but I did. Psychological help– Make sure your loved one is getting that psychological support and guidance each step of the way. Do they have a social worker to help them mentally digest what is going on? Who is the spouse/kids talking to for mental support? Has anyone advised the one fighting on WHAT to say to the kids? No one told me what to tell my son when I left him or how to handle it. I cried and said “Mommy is going to the store.” Sadly, the store meant I didn’t know when or if I was coming home and when the weeks turned into months and then a year I didn’t know how to help my son cope and I didn’t know how to cope either. Of all the cancer patients in my hospital there was only ONE psychologist to help out and no guidance was offered. Transportation (bus/plane tickets) How is family getting to see the cancer patient? 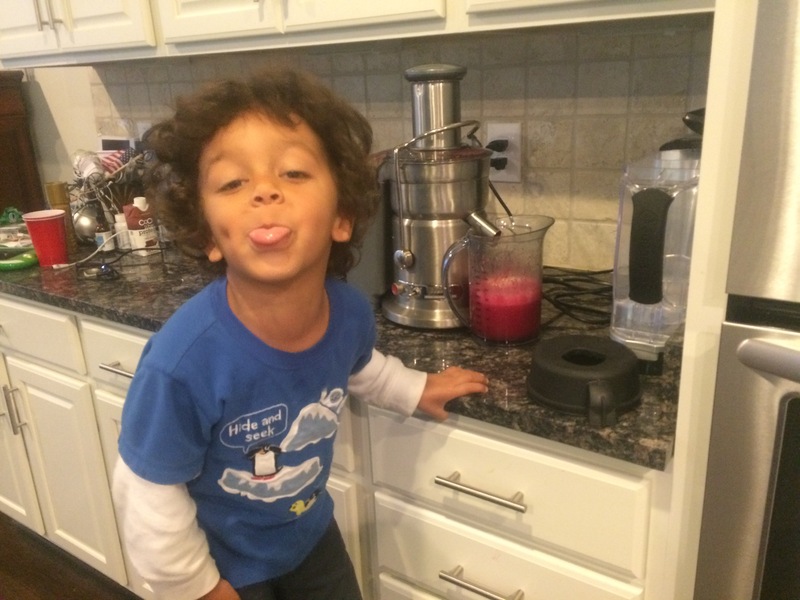 We spent more than 15K in airfare to either fly my son to see me when my blood counts were safe. (every 4 months) or fly my sister (my bone marrow donor) to come save my life. Is there a way you can help your loved one financially get through this fight so he/she can FOCUS on the WIN? • Exercise type workout clothes (bright ones too! make them feel ALIVE!) – YES -help your loved ones ArmorUp for LIFE IN the FIGHT. Despite how difficult it is to get out of bed, studies show walking during chemo can actually make your treatment more successful. A gown and slippers aren’t going to do the job plus hospital gowns are depressing and remind you how sick you are. I made my fight, my job. I got dressed each day to go to battle and walked countless laps wherever I was allowed to roam. Also, patients usually get a hickman or port in their chest which is a like a long term IV where all the meds and chemo will be administered. Nurses need daily access to it. I specifically wore sleeveless tanks under everything so it was easier to access and run the catheter and easier than taking my shirt off many times a day. • Sneakers-YES please send these! How are you ArmoringUp in slippers? I will never forget my friends Kristi & Eddie showing up with 9 pair of sneakers to see which one fit so I could stay fit for the fight! • Socks– even some with great sayings like STAY STRONG! Cotton Hats- I hated being bald and needed hats. While I loved the very cute ones to brighten my day and make me feel pretty, what I used most were the COTTON hats because the chemo either made my head sweat or freeze. At night, would sweat through 3-4 hats. • Flip flops -for the shower to avoid germs and some to just slip on just to get around the room. • • Underwear —yes! If you are there for weeks or months or a year like I was you need someone to actually do your wash and you a good supply of under garments. • Robe -I liked having a thin one and thick one because I either had the chills or I was sweating. • Fake Flower arrangements —I was not allowed real flowers, that may be different for your friend. • Magazines/Books etc —the chemo burned through my tear ducts so reading was difficult but this is good for those whose vision is not affected. Cancer is known to feed off of sugar let most hospitals have sugar filled everything from sugar popsicles to white bread. While the chemo does affect the appetite and make you nauseous, I refused to eat the unhealthy processed hospital food. Instead my husband brought me groceries that were healthy. Ask what they feel like eating and what they can eat. Cautioned about the following because of the potential bateria. 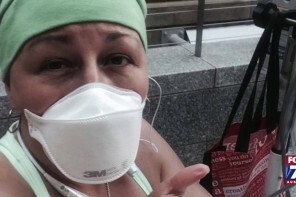 When the chemo drip stops, the struggle is not always over. Cancer patients need help even once home from the hospital and even once in remission. You don’t just go into remission and feel like a super hero. You still need help. Home Cleaning Service —This is one of the very best gifts you can give to your loved one. You can’t be around dust/dirt etc with low blood counts, you are exhausted and you miss quality time with your family. The last thing you can do or want to do is keep your house clean. This was one of my best gifts EVER! Thank you to my friend Amy who made it happen. Collect donations and give your loved one 6 months of a cleaning service. Meal donations – you are too tired to cook but you need to eat. You also have a metal taste in your mouth and everything seems to taste different. ASK what they are eating and what their family is eating. Remember to ask about special needs. For the longest time I couldn’t have raw fruits and veggies and I am also gluten free and dairy free. Restaurant meals were sweet but scared me because I was worried about germs/bacteria. Massage therapy if it is permitted by their oncologist. If platelets are too low then your loved one won’t be allowed to get a massage but anything to relax is great. Transportation to follow up visits and test- yes! you are home but it is NOT over. I often had to drive myself to some very scary follow up appointments because we didn’t have the means to get me there. I was in a new city and also felt guilty to ASK for someone to drive. I didn’t want to inconvenience them. My advice just OFFER and INSIST they don’t go alone. 2 years later and I’m still at the hospital on a regular basis. Professional connections to get back on their feet. This was one of the toughest part for me. I was home recovering, struggling and wondering if I was going to make it. I felt horrible but I also had to look ahead and what I was going to do next. My anxiety took over. I would say “Am I going to live?” in one breathe and then “what the hell am I going to do” since I made it. I felt depressed and lost. I was blessed to have friends make me business cards, make a website for me, and donate whatever professional skill they knew to help me get back up. If you can be of service to a cancer patient, your help would be so welcome. It might seem odd that after you are so lucky to survive so much that you are depressed but it happens. The medicine also adds to the depression AND you don’t feel the same. You came out of this different, changed, a bit broken but grateful. Psychologist or social worker —Does your loved one or his/her family members need help? I came out of my fight with PTSD. I suffered and witnessed so much and needed help. No one prepared me for that. My incredible medical team saved my body but what about my mind. Most cancer patients are mentally changed forever and need psychological help but I learned that no one sends you for the help and once you do realize you need it… there are very few who actually have that expertise. I am getting help and so is my son. We were separated for ONE year and even now at the age of 4 he has issues of me abandoning him and fears me dying. Run down? Why your stress levels could be inviting illness in.